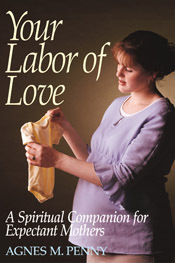 In this book, the author shares the very Catholic spiritual solutions she found to the problems and struggles of pregnancy. In 36 short chapters, she covers many topics, including Love's Great Adventure, Tiredness, Mood Swings, Praying for Your Baby, Seeking Physical Comfort, Fearfulness, Bearing Saints, A Long Wait, Marital Difficulties, Post Partum, and many others. A great support for young mothers, it is perfect for women who want to accept the challenges and joys of motherhood according to God's will. Highly practical, truly Catholic and very uplifting.